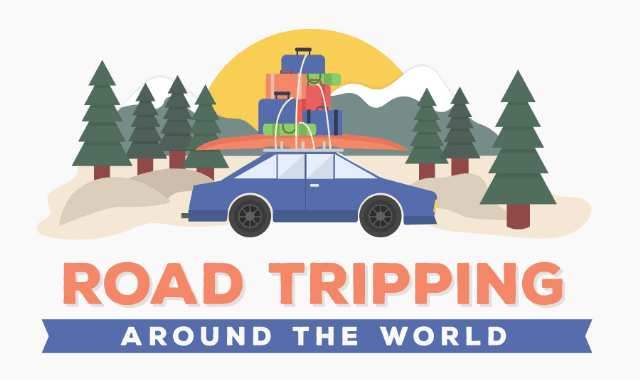 Road Tripping Around The World #Infographic ~ Visualistan '+g+"
It's not about the destination it's about the journey that counts! Road tripping offers a unique way to experience a country, giving you the freedom to explore at your own pace, taking in the sights and sounds that lie between you and the finish line. With both oil and car hire prices in a permanent state of flux, the costs of such a trip can vary wildly. To help you plan your next road trip, we've examined which countries offer the best balance of value for money and sheer spectacle.